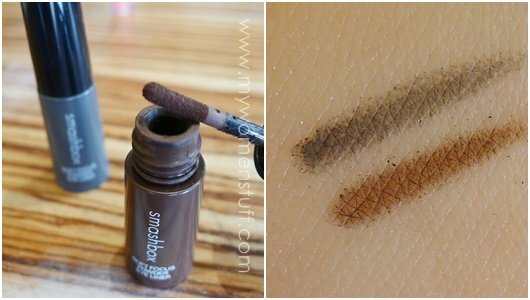 I’m told that Smashbox keeps making more of these creamy cheek duos because they are very well received everywhere and I must admit that they are quite easy to use. It would be nice if they didn’t make them limited edition though. This creamy cheek duo comes in peach and pink. There is minute shimmer just to keep things interesting but is otherwise non shimmery. I prefer how the pink looks on my skin but the peach can add some dimension to the face. 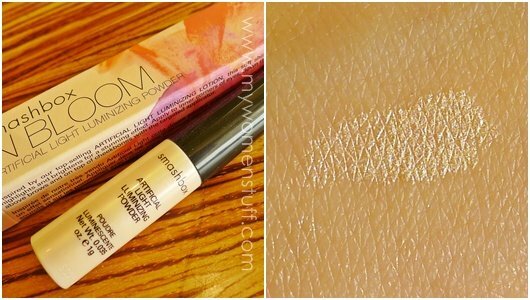 This one’s a highlight powder in a tube. There is a sponge tip and you can apply it anywhere that needs some highlighting – nose, cheeks, brow bone. I personally found this a bit too shiny so if you have oily skins, I don’t recommend you get this. If there was one item I’d get from this collection, it would likely be the creamy blush duo. On very light skintones, you only use very little, and the peach side can look a bit orangey if you apply too much of it. 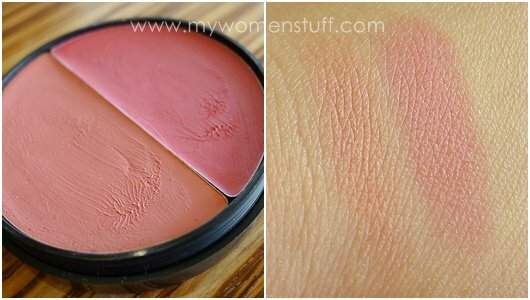 But on medium toned/tanned skins I think this blush duo would be beautiful! NEXT POST: Can I skip wearing false lashes with the Max Factor False Lash Effect mascara? Strangely I’m not that interested, save for the blush, just like you… Hmmm… Could this be a sign that ima getting lemming invulnerability? yes that is exactly what it means. not excited abt anything except maybe the highlighter, (i have a weakness for highlighters, as my face is round n doughy with utterly no dimension) but even that looks a bit disco. This palette is the weirdest. Does not match the name at all. I was expecting lively pastels of different colours. Or maybe these are the colours on the tree trunk after some spring rain. 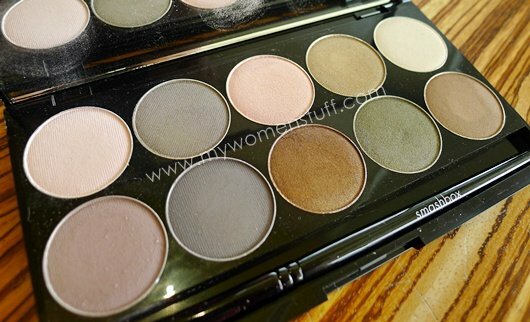 The one who approved the release of this palette must have a great sense of humour. I thought this was something I’d be taking up for sure but I’m not really feeling it much, I must admit. The blush, maybe, but then again, they aren’t anything unique. So I guess I’ll pass. It’s not very lively for something that should reflect the beauty of spring.